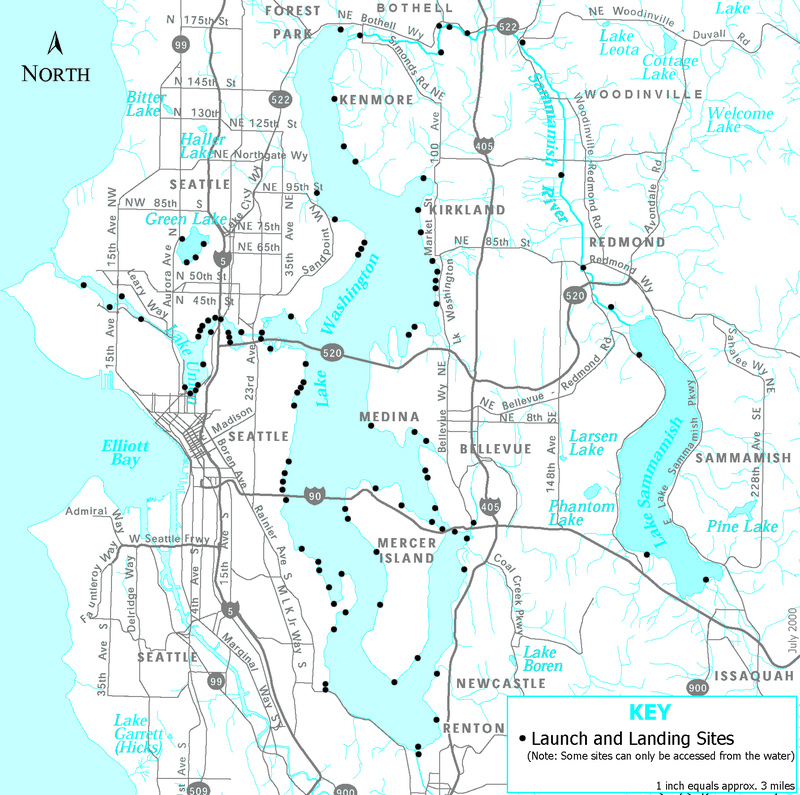 The Lakes-To-Locks Water Trail is a day use trail in the greater Seattle metropolitan area with over 100 public places to reach the water. Once there, you can enjoy a lovely day on the beach or launch and land small non-motorized boats . Discover hidden coves or enjoy miles of open water fringed by a variety of natural areas, suburban neighborhoods, and heavy urban industries. 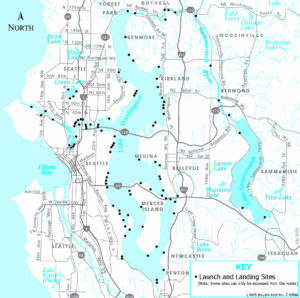 The Lakes-To-Locks sites are located on Lake Sammamish, Lake Washington, and Lake Union. They are joined by sloughs, cuts, and waterways. 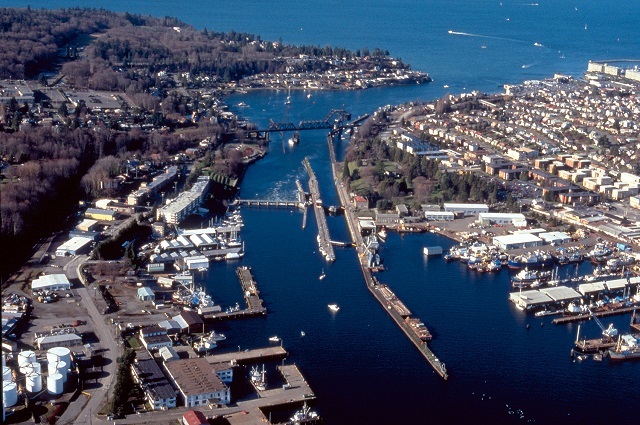 The trail culminates at the Hiram M. Chittenden Locks where the fresh water of the lakes meets the salt water of the Puget Sound. The trail, designated in 2000, quickly received national notice, winning the 2001 Blue Ribbon Award from North American Water Trails and National Park Service’s Partnership Award in Recreation in 2002. It is one way to reach the Cascadia Marine Trail on Puget Sound from non-coastal areas of King County. Read about Lakes-To-Locks history and partners. Feel free to print, fold and carry as you explore the great Seattle Metropolitan area for access points to the water, and a spot to launch your boat! *Some of these sites may need updating. 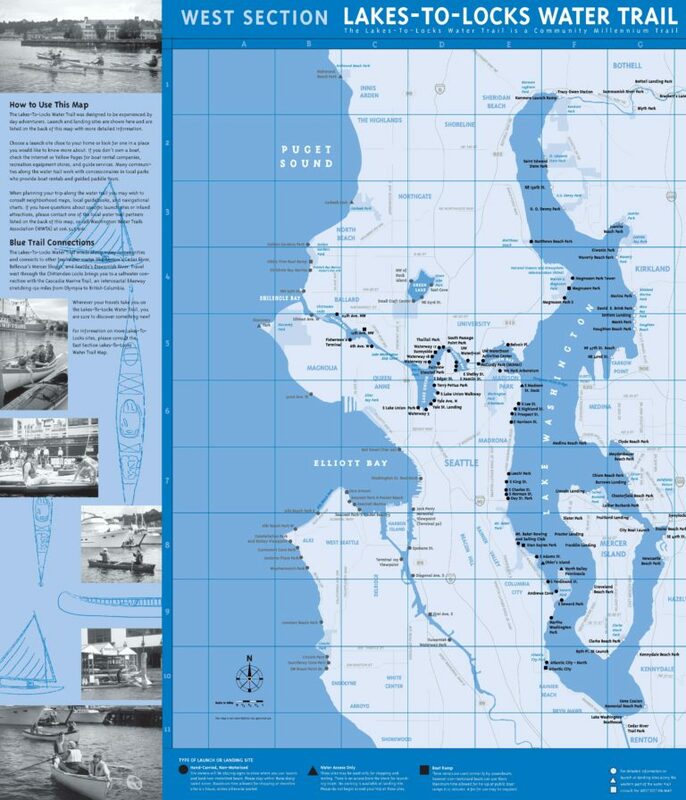 Lake Union Map with history of various areas. Lake Union Boat Access With Key – this may need to be updated. Video of one of the South Lake Union sites.